This Saturday at 3pm central standard time, we are hosting our second online tournament for XBL and PSN players. Players will meet in the KOF13 online lobby chat, and it is open to any and all players that are interested. No wireless connections, please! Don’t forget: The infamous WNF, by Level|Up, have now added KOF XIII to their new Thursday agenda. The hype train continues with back to back fighting game action! 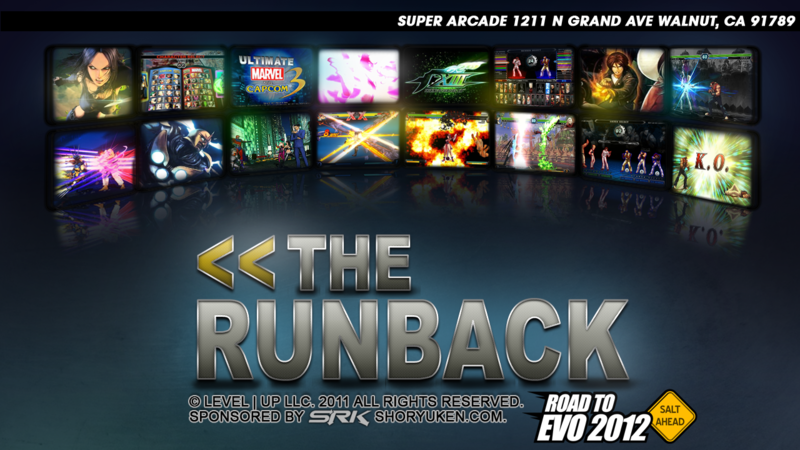 Introducing ‘The Runback’, every Thursday nights start off with The King of Fighters XIII! KOFXIII has been making some serious noise in today’s tournament scene and we’re proud to showcase it on our Season 2 lineup. Next, the headliner game on The Runback is none other than the king of hype – Ultimate Marvel vs. Capcom 3. The community can now enjoy primetime fighting game action with Marvel every week on Thursdays! We’re happy to announce SRK/EVO will be sponsoring both WNF and The Runback for Season 2! That means the overall champions for AE2012, SFxTK, KOFXIII, and UMVC3 will now receive EVO seed points! Season 2 begins March 28, 2012 at 9PM PST every Weds and Thurs on twitch.tv/leveluplive . 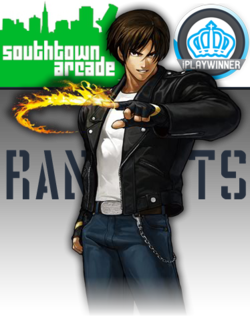 There’s only 1 place for KOF fans to get drama, rage, salt and excitement on a Sunday: Southtown Arcade Ranbats! Today marks the season finale of the STA 3rd Ranbat series. Check it out at roughly 1pm Pacific on the iPLAYWINNER Titch.tv channel: http://www.twitch.tv/iplaywinner. DUAL STREAM: SouthTown Ranbats first KOFXIII console Ranbats with International guest ON – MichelS! and UK Stream! Can’t get enough of KOFXIII today? Southtown Arcade and iPlaywinner is closing out their Fall KOFXIII season with a bang streaming their first ever, KOFXIII console edition RanBats. Joining us, is ON–MichelS, winner of several KOFXIII console tournaments already, from France/UK. Tune it at http://www.twitch.tv/iplaywinner UPDATE: On now. It’s our favorite time of the month (again), KOF XIII Southtown Arcade ranbats live stream starts at 1pm PST courtesy of iPlaywinner. Another month in the wait for The King of Fighters XIII console release has passed! To mark the occasion, Desmond and I discuss the recent South Town ranbats with HotPockets/HellPockets, Reiki, RodgerDodger and FataCon; Kane317 shows up for a bit but then we lose him in a “bad area.” We also discuss the future of the podcast and the upcoming online XIII tournament. The second King of Fighters XIII ranbat in the Southtown series is today. iPLAYWINNER is streaming it on their Twitch.tv channel beginning at 1pm PST. A few SoCal players have made the trip to Southtown and will be playing in the ranbat: CMD.Duc, 4Leaf, Kane317 and, our newest moderator, Fatacon. Best of luck to all participants!